Short Term Trading forex trading links forex trading books market statistics trader values euro and us dollar Shocks Crashing Will Italy Survive? Mr. Mario Draghi is a man of great experience. He is a pragmatic manager, who can be bold and decisive, when required. On Thursday, he took most of the financial community by surprise and cut rates by 25 basis points to 1.25%. He said Europe is sliding into a mild recession and inflation is expected to fade in the coming months. As opposed to the October’s meeting, the decision was unanimous. The road remains nonetheless tortuous and long. Latest leading indicators have confirmed European economy is contracting. Any delay in implementing the reforms could increase downside risks. So, another cut is possible in December or in January. In effect, Europe is still a work-in-progress. Governments live in state of perennial self-conflict. They oscillate between the local electorate requests and the interests of the community. Mr. Papandreou, pressured by the financial's world, had to cancel the referendum on the new bailout. Banks are too exposed to the Greek’s debt and a default might be premature. Nonetheless, it is only a matter of time before the losing game will end. Expectations are for Greece to default, triggered by official creditors, in the first 3/6 months of 2012. What will happen next? Members cannot be forced to drop out and Greece could decide to stay in the E.M.U. World leaders would like to end the Greece’s tragedy as soon as possible. The long wave of the crisis is hitting Italy. Its debt could reach 119% by the end of 2011. It is second only to Greece’s debt. The ten year Italian yields rose above 6%. The spreads against the German Bunds reached historical highs. According to Bloomberg, Italy has the third largest debit’s market in the world with euro 1.6 trillion. It has the resources to face the challenge, but its government lacks credibility. 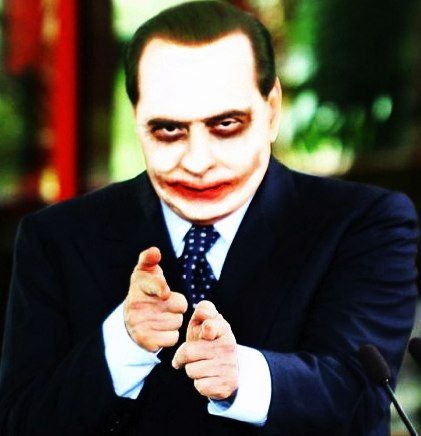 The Italian Prime Minister Silvio Berlusconi, weakened by various scandals, is having a hard time passing the reforms. After years of “bunga bunga politics”, financial markets do not believe in him anymore. Berlusconi will never resign. Another confidence vote is expected in Rome. However, this time, there is no assurance he will prevail. In case of failure, the leading parties are calling for new elections, but decisions have to be taken quickly. There is not enough money to bail out Italy. The hypothetical euro 1 trillion funds, discussed last week in Brussels, might not be enough. Germany and France are reluctant to help. Finances have to come from other sources: the EFSF, the IMF or the ECB. As a result, a large transitional government could be the option for Italy. The European’s crisis is unfolding and the apex has not been reached yet. The euro should remain under pressure against the U.S. dollar. A move below 1.3560 could target 1.34 and eventually 1.33. Only a swing over 1.4450 could lift the price to 1.46 and possibly 1.52.